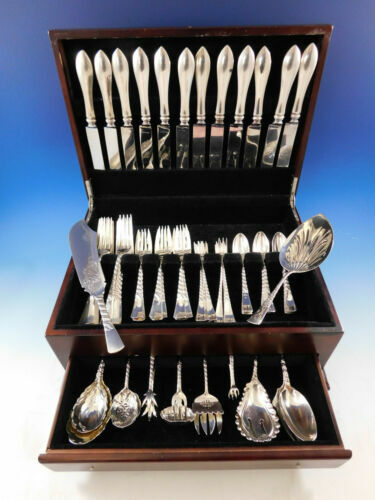 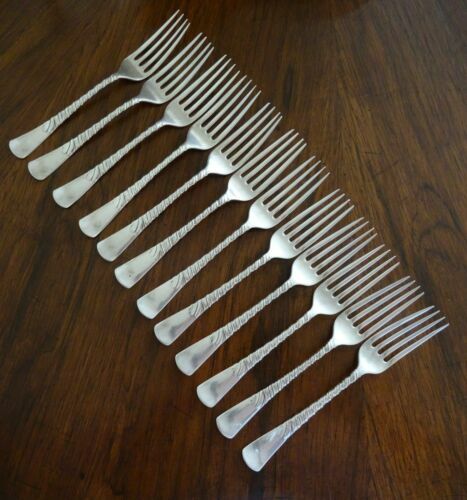 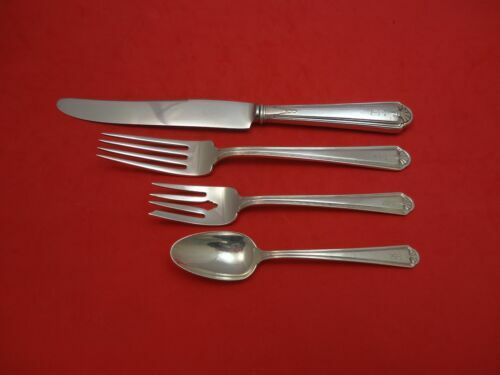 $326.8 (9) TIFFANY & CO. STERLING SILVER LUNCHEON / DESSERT KNIVES COLONIAL 8 3/4"
$150.0 A set of sterling demitasse spoons, Tiffany & Co., c.1891-1902. 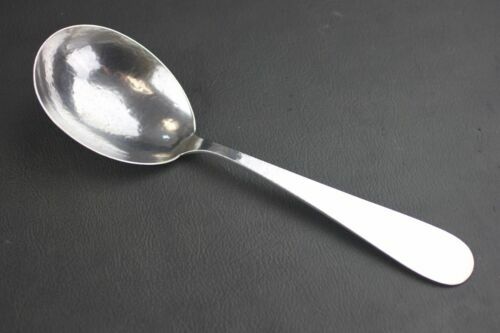 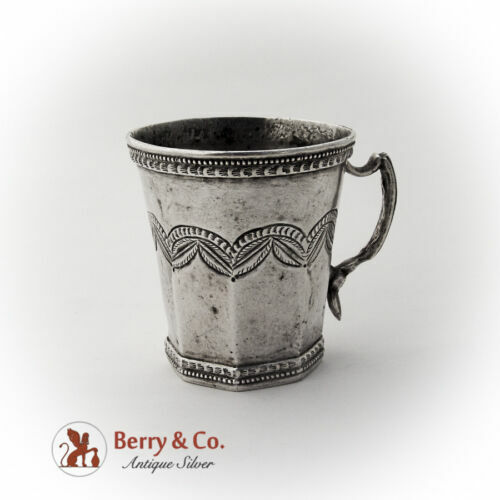 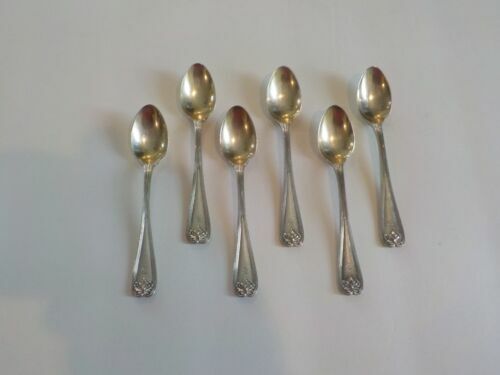 $370.5 6 Tiffany & Co. Sterling Silver Teaspoons in Colonial, Gold Wash Monogram "M"
Buy: $299.0 Tiffany & Co. "Colonial" sterling spoons, 10pc with wrap. 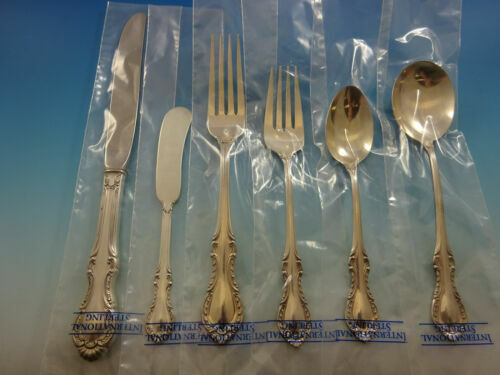 $370.5 6 Tiffany & Co. Sterling Silver Teaspoons in Colonial, Gold Wash Monogram "C"
$280.0 MARSHALL FIELD & CO COLONIAL STERLING SILVER BERRY/CASSEROLE SERVING SPOON 9.5"
Buy: $1619.0 Antique Watson Colonial Fiddle c1925 Sterling Silver Fiddle Tipt Flatware 50pc. 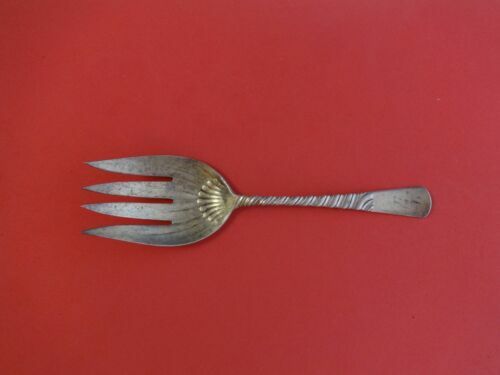 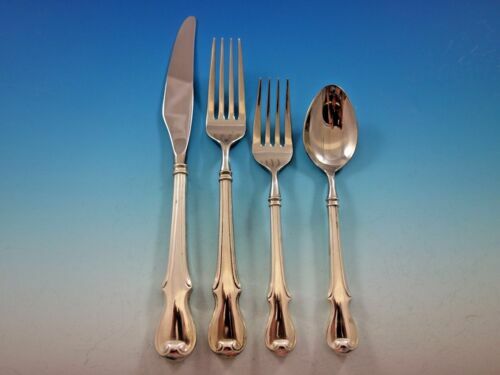 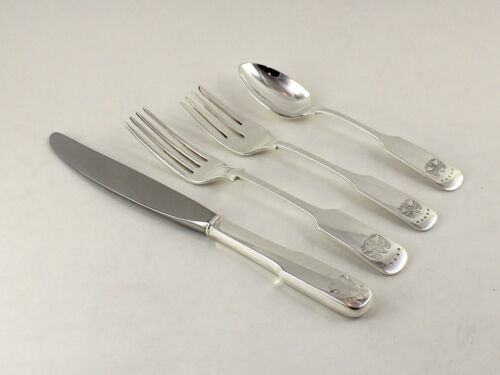 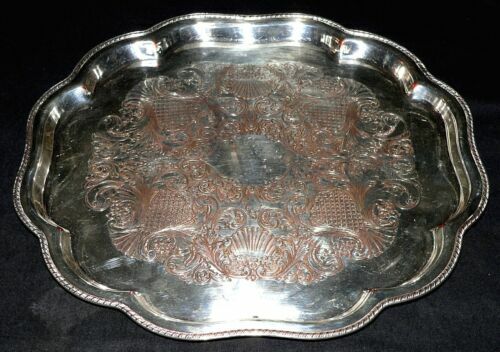 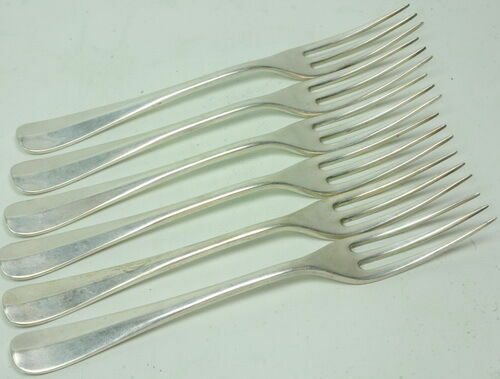 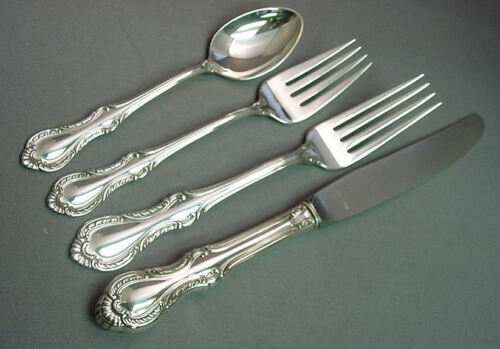 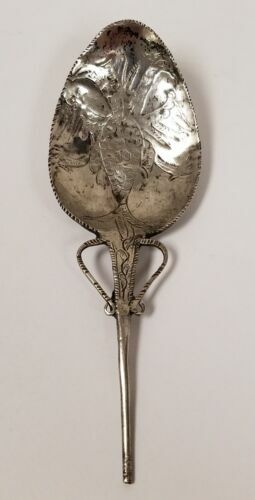 $180.0 Salver, tray, silverplate, Colonial Revival, Oxford Silver Co, NYC, engraved,13"
$519.0 Colonial by Gorham Sterling Silver Fish Fork Set 4pc AS Custom Made 6 3/4"
$326.8 (4) TIFFANY & CO. STERLING SILVER DINNER FORKS COLONIAL NO MONOGRAM 7 1/2"
$209.0 Colonial by Gorham Sterling Silver Fish Serving Fork 8 3/4"
$189.0 Colonial by Tiffany & Co. Sterling Silver Lobster Pick 5 3/4"
$119.99 Vintage Rare Wallace Colonial EPNS Round Serving Tray Bowl, 14 1/2" x 12 1/2"
$389.0 Colonial by Tiffany & Co. Sterling Silver Vegetable Serving Spoon Large 9 1/2"